Combine Cocoa and sugar in a large mug. Add 2 tablespoons of the warm water or milk until a thick paste is formed. Add 8oz boiling water or hot milk and stir until well mixed. Spiced Exotic Cocoa: 1/8 teaspoon ground cinnamon and 1/8 teaspoon ground nutmeg. Serve with cinnamon stick, if desired. Mint Cocoa: 1/2 teaspoon mint extract OR 3 tablespoons crushed hard peppermint candy OR 2 to 3 tablespoons white creme de menthe. Serve with peppermint candy stick, if desired. Orange Cocoa: 1/2 teaspoon orange extract OR 2 to 3 tablespoons orange liqueur. 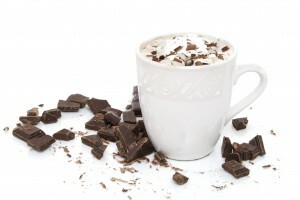 Swiss Mocha: 2 to 2-1/2 teaspoons powdered instant coffee. Preheat oven to 350° F. Spread pecans evenly on a nonstick baking pan. Toast for approximately 7-8 minutes. 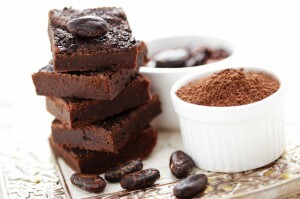 Sift together Cocoa, flour, espresso powder, baking soda and salt in a large mixing bowl; set aside. In an electric mixer, combine eggs, butter and vanilla until well blended. Turn mixer to low and slowly add sugar, then gradually add flour mixture, mixing well after each addition. Add the toasted pecans. On a floured surface, divide the dough in half. Form the dough pieces into two logs by rolling back and forth across the floured surface. Place the logs onto a parchment lined baking sheet, allowing for enough space for the dough to expand as it bakes. Bake for approximately 35-40 minutes, until firm to the touch. Remove from the oven and cool on a wire rack for about 10 minutes. 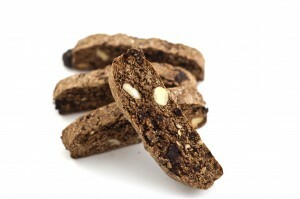 Using a serrated knife, slice the logs into pieces approximately ¾ of an inch thick. Place back on the baking sheet with pieces standing upright and bake for another 20 minutes, or until desired crispness. Remove from oven and allow to cool on a wire rack. DORVAL INTRODUCES DORVAL PREMIUM COLLECTION® COCOA! Dorval Trading Co., Ltd. is extremely pleased to announce the introduction of our Dutch processed, unsweetened Cocoa here in the U.S. under the DORVAL PREMIUM COLLECTION® brand. Imported from Holland, the 8.8 oz. box of Cocoa can be used for either baking or drinking. The Cocoa is Kosher for Passover and all year use. Available in 12 count cases as well as a 32 count shipper, the DORVAL PREMIUM COLLECTION® Cocoa box has an upscale, premium look that will stand out among the rest. According to Roberta Cappel, President of Dorval, “We are very excited to present this new cocoa. This is the first time Dorval has offered their own branded cocoa here in the U.S. With the amount of press recently given to the health benefits of flavanols and antioxidants found in cocoa, we feel this item will be a huge success. We strongly believe that DORVAL PREMIUM COLLECTION® Cocoa, with its superior taste and quality, will be second to none”. DORVAL PREMIUM COLLECTION® Cocoa is the next logical step to join the already successful DORVAL PREMIUM COLLECTION® portfolio of Chocolate Sticks and Crispy Chocolate Thins, also made in Holland. 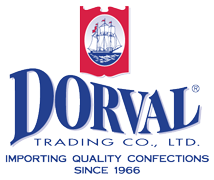 For over 45 years, Dorval Trading Co., Ltd., has been an importer of an extensive range of high-quality confectionery products from major manufacturers around the world. Dorval has grown into a significant presence in the confectionery and specialty distribution arena. The Dorval office is open, however due to Hurricane Sandy, we do not have phone or internet service. Your business is important to us, and we will notify you when service has been restored. We thank you for your patience.